One of the most difficult and expensive things to do while on vacation is trying to eat great food. Sure, there are a lot of restaurants that vary in price, but those establishments also vary in quality. Not only that, but travelers must often drive away from their vacation destination in order to find places to have meals. When you rent a houseboat, you are afforded the opportunity to plan your meals in advance, bring your food with you, and create amazing meals for your family right there where you are staying. The first thing families notice when staying on houseboats is the chance to recharge their batteries with backdrops made of stunning views. 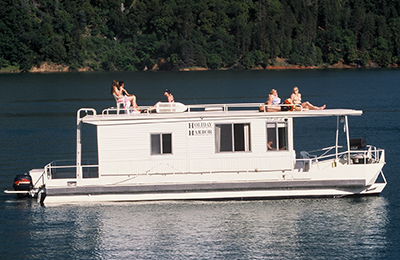 Houseboats allow families to explore the lake and surrounding woodlands. 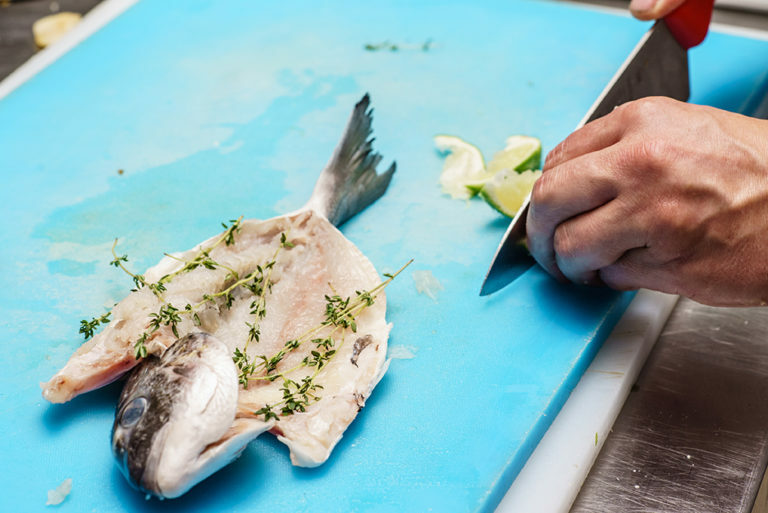 Those who enjoy cooking can do so in the private and quiet coves that dot the lake shore. 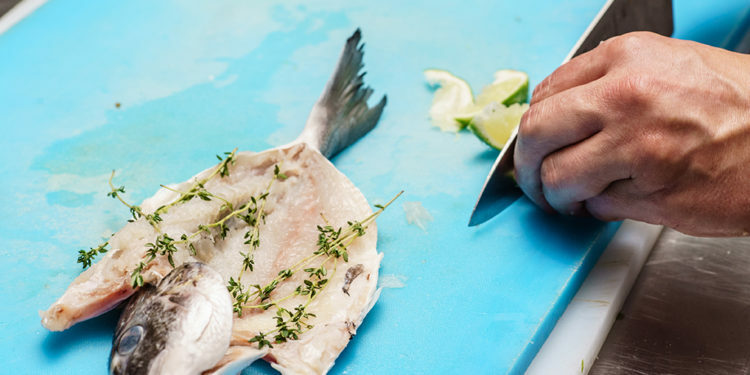 Whether meals are prepared on the houseboat or on shore, your family chef is sure to revel in the local wildlife and stunning mountain views. Renting a houseboat for your vacation is great for the anglers in the family and, more importantly, for those who love eating fresh fish. Fishing can be accomplished while a houseboat is pulled onto shore or even during a trip across the lake. Inland lakes offer warm and cold water fish species, such as bass, trout, and bluegill, that can make any meal a true winner. Most Americans love their red meat, but finding a great steak on vacation can be a headache and is sometimes a bit disappointing in the end. Fortunately, houseboats from rental agencies come fully prepared for such times with onboard barbecues. Your family can bring the exact cut of meat they desire and grill it up just the way they like. Hotels sometimes have little refrigerators, but these “mini-fridges” are barely large enough to hold a few sodas. Also, camping requires you to go out and purchase an ice chest if you plan on bringing any of your own perishable foods. Houseboats take care of both these dilemmas with one or two refrigerators and a large cooler onboard ready and waiting for you to fill them up with all of your family’s favorite foods. If you prefer to avoid the barbecue or would rather make something a little more homey, than look no further than your houseboat galley. Vessels available for rent are large enough that they have plenty of room for full kitchens. From the stove and oven to the kitchen sink and dining table, you will find all the amenities of home with space to create the perfect homemade meals for your family. In other words, if you and your family prefer home-cooked meals to tracking down and paying for overpriced restaurant meals, then a houseboat rental may be your perfect vacation destination. Simply plan ahead, bring the groceries with you, and prepare meals at your own leisure. Your mouth, stomach, and family will not be disappointed.